I used to think there was one set of footprints because my friends were carrying me through the worst days of my life. But now it means something else to me. When I saw one set of footprints, it was because they were following directly behind me, ready to catch me if I fell. I lost my father 16 years ago, from that moment forward our lives were drastically changed. 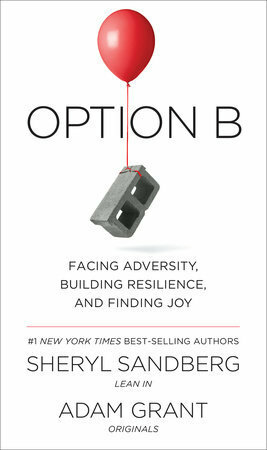 This book is about what Sheryl learned after the unexpected death of her husband. As I read this book, I'm understanding my mother better and I'm also learning about myself. It's about taking that moment you never dreamed would happen and yet it just happened, now what do you do with it? You find a way to move forward and this is sort of a guide in how you can do that. She mentions several times that it might not work for you, but here's why it does work for people.